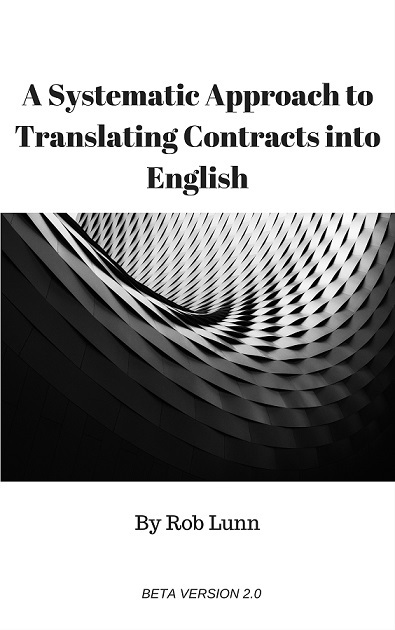 This is the last part of a series on training for legal translators. See the first post here. To put yourself on the path to becoming a good legal translator, you need to make one big study commitment. A big study commitment is anything that takes at least a year, challenges you, and costs a lot of time and money. I thought long and hard before signing up for my legal translation degree (an MA). It wasn’t just a matter of weighing up what I’d learn or be able to apply in my work. I’d also be shutting doors. I wouldn’t be able to do another degree in the near future, and I’d be pigeonholing myself — unavoidable if you want to specialise. So that’s why you need to make a big study commitment. As well as giving you a big fast forward in knowledge and hopefully skills, it’s like burning your boats. My master’s put me light years ahead of the translator I was before I started the course. But getting that degree was just the beginning. Even now, seven years down the road, I’m only just hitting my stride as a legal translator, after a lot of work experience, some training and quite a bit of study since finishing that course. A big study commitment is a big push in the right direction, but it’s only one of many steps. The best thing about law degrees is their convenience. You find them in every country, a range of institutions and different formats. You can choose to study your source or target system, online or face-to-face, for one year or more. Law degrees give you a credibility that the other options won’t. Clients are more willing to believe that translators with law degrees can translate legal documents. So a law degree may help your marketing efforts. Will you learn anything useful on a law degree? Of course. How could you not? Especially if you have already worked as a translator and know what to look for. You will only learn about one legal system, but you’ll build a framework for hanging other ones on. On the downside, you won’t do any legal translating as part of your degree. You will also learn a lot of things you’ll never need to know (if you’re only doing the degree for a career in translation). Like law degrees, these come in all shapes and forms. Unlike law degrees, these are few and far between. I did an MA in legal translation and found it an excellent. We had law lectures on both our source and target systems, translation assignments, and a healthy dose of linguistic and translation theory. Unfortunately this course doesn’t exist anymore. What advantage do legal translation degrees have over law degrees? You get to practice and are assessed on translating legal documents. So, all other things being equal, you’ll finish your degree as a better legal translator. On the downside, you may have to study things you know you’ll never need or already know. There wasn’t too much deadwood on my course, but I did have to do one lesson on CAT tools that I could have done without. Beware also of degrees puffed up with subjects on how to freelance or run a business — this is not what you want to learn from a legal translation degree. A disadvantage compared to a law degree is that you won’t learn one of your legal systems as deeply. You may also find it more difficult to market yourself as a legal translator than if you had a law degree. Making self-study and short courses your big study commitment requires discipline and purpose. But let’s be clear about one thing. This option is not just translating legal documents in your work. You need work experience. But just working won’t get you anywhere near as far as working and making a big study commitment. This option might suit people who have done a lot of formal study and don’t have the time or patience for any more. The downside? It’s difficult. For this to be a big study option, you need to push yourself. The upside is you have total say over what you’re learning. You can avoid the deadwood inherent to university degrees. It doesn’t matter which option you choose. The important thing is to make the commitment. Each option will get you started and give your reason to keep on digging deeper when you finish. You also need to consider course availability and convenience. I did the course I did because it was there, and I’d heard good things about it. I might have chosen a different path at a different time. Whatever you do, get some translation experience first. On the master’s I did, there were students straight out of university, either from law or translation degrees. I don’t think these people got as much out of the course as those of us who had already worked as translators. When you’re already a translator, you know what to listen for. Your ears prick up at the slightest hint that the lecturer might be about to utter a gem of knowledge while the non-translator will still be daydreaming. So if you are fresh out of university or on the brink of a career change, arm yourself with some translation experience before embarking on a big study commitment. Posts related to Training for legal translators. Part IV. Make at least one big study commitment.